In some shooting modes, the Sony a6000 can be picky about what memory card you put into it. Here are some recommendations for which memory cards work best in the a6000. The memory card is one of the essential features of a digital camera. Without it, you're not going to be able to take many photos. But the Sony Alpha a6000 doesn't come with one.1 There are some bundles that retailers put together that might include a memory card, but chances are it's something you're going to have to pick up separately. So which card should you get? If you'd like to cut to the chase, here are some quick recommendations for good memory cards for the Sony a6000. You can find more detailed explanations and more options below. So get an SD card that's faster than Class 4, correct? These days, pretty much all the SD cards you can buy are Class 10 or faster, so that's not particularly hard. So you're all set, right? If you're only shooting still images, then yes. Any SD card of any size that's Class 4 or above will work fine. There are advantages to having a faster one if you're shooting in burst mode or trying to speed up the process of downloading photos from the memory card, but for the most part, the a6000 is not especially picky about memory cards in the photo modes. But the catch is the a6000's video modes are more demanding on the SD card. So if you're shooting video with this camera, you'll want to pay more attention to the speed of the memory card. 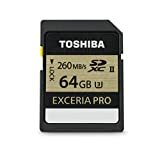 I've put together these practical recommendations in the hope that it makes it a little easier to know which memory cards work well in the a6500. Which Memory Cards Work with XAVC S Video Mode on the Sony a6000? This memory card does not support recording of XAVC S movies. Change the file format or change the memory card. Refer to the instruction manual for details. Except that you won't find any information in the instruction manual. So far as I can tell, there's no mention of this error in the instruction manual or any information about how to fix it. It turns out there are two parts to solving this. The first is having a card that's fast enough for the high-bitrate recording that XAVC S uses. If you try to use a Class 4 card, you still won't be able to record in XAVC S mode. The Sony a6000 is compatible with SD, SDHC, and SDXC cards, so you can use any card with those marks on them. Most of the cards available these days are either SDHC and SDXC. In practice, you'll find SDHC on cards from 8GB through 32GB and SDXC on cards 64GB and larger. But if you want to take full advantage of the a6000's features, here are some cards that work well. My emphasis here is on ones that meet the requirements, are from manufactures of high-quality cards, are readily available at retail, and are cost effective. There are faster, fancier, and more expensive cards that also work well, but those aren't the ones I'm focusing on here, and many of them will be overkill for the a6000. And a reminder to be sure to get one that's 64GB or larger if you want to record in the a6000's XAVC S mode. SanDisk's Extreme range are good bets for many cameras, and that's true here too. 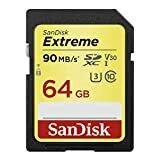 SanDisk has faster ranges like the Plus and Pro lines, but the Extreme line is both quick enough for most cameras and usually less expensive than those faster lines. One thing to note with SanDisk cards is that they recycle their model names. So you can find Extreme cards that are older and slower. You'll probably find those older versions work just fine--it really depends how far back you go--but you can tell the latest version because it's labeled with both U3 and V30, both of which are speed ratings specifically related to recording video. These cards are often good value, and you can sometimes find them sold in 2-packs. Like the SanDisk Extreme Pro, this one actually has UHS-II, which you don't need with this camera, but it's still a very good, reliable option. They come in sizes up to 256GB, and you can sometimes find them in 2-packs. 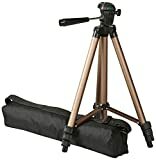 Buy at: Amazon or B&H Photo. These Sony cards are quick, reliable, and fairly widely available. Sony also now has another much faster model that works well but is a bit overkill for this use. These aren't always as easy to find as some of the other brands, but they're very good cards indeed. Toshiba has been a big player in hard drives and flash memory for a long time, and this range builds on that expertise and reputation. This is SanDisk's top-of-the-line range, and they work well in this camera. This latest version is somewhat overkill however, because they use UHS-II, which most cameras can't fully take advantage of. Older versions of the Extreme Pro cards are UHS-I and will still work well (ideally, stick to ones with the U3 rating on them). 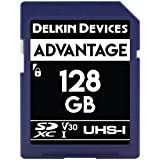 Delkin Devices have recently come out with a range of new SD cards of varying speeds and specs. This is one of their mid-range cards that is rated for V30 video recording speeds. 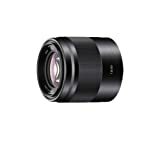 Find them at B&H Photo and Amazon. Sony has their own memory card format known as Memory Stick. It's the same size and shape as SD cards and broadly compatible with the SD format, with only minor differences. The Memory Stick XC-HG Duo and Memory Stick PRO-HG Duo models are fully compatible with the Sony a6000. The Memory Stick PRO Duo cards are compatible so long as you use the Mark 2 version of them--the older version will create issues with the movie function. But there's a catch. Way back when SD cards were a new thing, there were practical benefits to the Memory Stick specification. But that's no longer true. As SD cards have improved in speed and capacity, the case for Memory Sticks became hard to make, and the Memory Stick system never really took off. That means that they're often hard to find. That's especially true of the larger capacities such as 64GB and above. Just as with the SD cards, if you use a 32GB card or smaller you won't have full compatibility with all of the camera's video modes. A further complication is that when you do find them, there seems to be an unusual number of counterfeit cards. So I'd recommend caution when buying them such as sticking to reputable retailers, buying only Sony originals, and steering clear of knockoffs from brands like "Sonyy" or brands you've never heard of. Overall, I'd generally recommend using an SDXC card in the Sony a6000 rather than going to extra effort to hunt down a Sony Memory Stick. 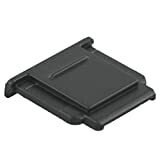 But if you want to use only Sony products (they also make SD cards, by the way, and very good ones--see above), you can find 32GB Memory Stick cards at Amazon. Finding the 64GB cards is harder. The Sony a6000 records video with a variable bitrate. What that means is that it tries to adjust the amount of data being used to the image in the frame. A moving, detailed scene will use a higher bitrate than a still scene. When you're using the highest quality codec, the XAVC S mode, the video is recorded with a target bitrate of 50 Mbps, which is substantially higher than when using the AVCHD or MP4 modes. Sometimes it's a little more and sometimes a little less--that's the variable bitrate coming into play--but it averages out around 50 Mbps regardless of which frame rate setting you're using. In other modes, the bitrates range from 3 Mbps up to 28 Mbps depending on whether you choose AVCHD or MP4 and then which size and frame rate. The Sony a6000 takes one memory card at a time (some other cameras take two). One thing I don't like is where the memory card slot is. It goes in easily enough, but because it's so close to the compartment door, it's finicky to take it out again. If you're not removing your memory card often and are using the wireless connection or connecting a cable directly to the camera to download images, it's not something you'll run into often. But if, like me, you prefer to put the memory card into a memory card reader to download the images and footage, then it's an annoyance--a minor one, admittedly, but one nonetheless. All that said, there's not much you can do about it--I just wish the camera's designers had done things a little differently. But if that's not possible or not what you want to do, you can also format cards using a computer. There are some things to know, though, when formatting SD cards to minimize the risks of your camera having problems with them. So I've put together guides on how to format SD cards on Mac and how to use the free SD Card Formatter app for Windows or Mac. 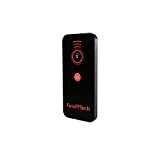 Eliminates vibrations caused by physically pressing the shutter release. Great information - thank you. My daughter is going to Peru for a month on a school trip - she wants to take los of photos and has a Sony NEX 3NL. Can you advise please on how to charge her camera as she will have limited access to facilities and she is also doing a week long walk up Machu Picchu so wont have any electrical facilities at all. Any advice please will be appreciated. The NEX 3 will charge with a battery inside the camera and connecting the camera to a USB power source. So any standard portable battery pack will do the trick. There are many different ones available, but for the camera you don't need the latest and greatest (and most expensive) because it won't take advantage of the newer charging technology. So a standard USB power brick such as this one will work (she'll need to make sure to take the USB cable too, of course). You can get ones with more capacity that are also a bit larger and heavier, and also smaller and lighter ones with less capacity. An advantage of doing it that way is that it will also work with charging phones or any other device that charges over USB. I have a Canon a6000 and an older Macbook. 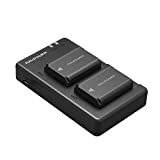 What memory card reader would you suggest using? I’ve seen some negative things written about the one made by Apple. I haven't actually tried the Apple-branded one, but unless you're going for cutting-edge speed, you should find that just about any basic card reader will work. A basic, inexpensive one like this should do the trick so long as your MacBook is old enough to have a standard USB port. If it only has a lightning port, the options for Mac-specific ones are much more limited, but you can use it in combination with a Lightning to USB hub or connector. The one I use doesn't seem to be readily available anymore, but there are a number at the usual outlets. Some have built-in card readers as well, which probably makes more sense than pairing two dongles. You have some very useful information here not found on the company website or the provided manual. Thank you for making our life easier. It saved me a lot of time. Found your site via Google search for "SD Cards for A6000" after evolving to the point where I want to use XAVC S mode on my A6000. No response required, but I wanted to compliment you on your site and your work. Inspirational for sure! Hi Mark, Thanks for your kind words, and I'm glad you found it helpful! cheers, David.